The Written Xcel Code errata has been added to the USA Gymnastics website. The Xcel Code of Points is not yet available (can be pre-ordered from USA Gymnastics). Here is a brief summary of the Xcel Update so you all can be informed and use this material for your training and routine planning. Don’t hesitate to contact me if you have questions. Also, be sure to check the Rules and Policies regarding equipment specifications and procedures concerning meet format/protocol. Remember that nothing is official until it is published. In response to your requests, you received the exciting news that there will be a Region 2 Xcel Invitational the weekend of April 27-29, 2018. Bids for this hosting this invitational are due to Marian DeWane (Region 2 Administrative Chair r2racc@gmail.com) by June 1. I can only guess at the number of athletes that might attend the Invitational but if you would attend, please send me a list of numbers by division that might come. That way I can give those who are considering bidding a rough idea of numbers. In a few weeks, I will be attending our National Xcel Committee meetings in Indianapolis. If you have issues or concerns which you would like brought up to the committee, please send those to me soon. 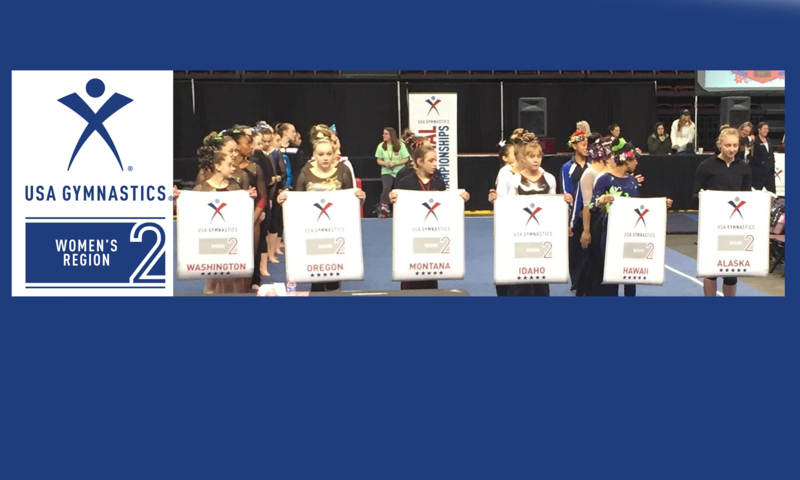 Region 2 saw increased Xcel membership for the 2016-17 season with nearly 500 more registered athletes. I attended the Idaho and Washington State Xcel Championship meets this spring. The quality of the gymnastics has improved and the enthusiasm of the participants (athletes and coaches) is inspiring. It is great to see so many young athletes benefiting from this program – keep up the good work! Also, my sincere thanks for your support in allowing me to serve another 4 years as your Region 2 Xcel Chair. Best wishes for fun and successful training and hope to see you at Regional and State Congresses this summer.